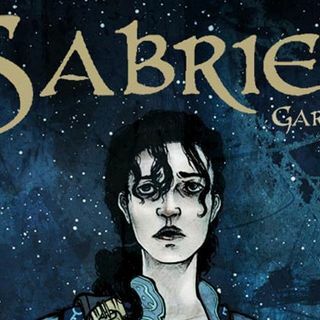 Many thanks to Abbey for commissioning another episode of Sabriel! I'm excited to be getting into the main body of this book, and I'm totally thrilled to be adding a magical cat to the mix. Turns out that Mogget isn't really a cat, which we get to see firsthand when Sabriel takes his collar off later. I'm not at all sure what Mogget really is, but I guess there's no point in guessing since he tells us himself that he's multiple things. I'm really feeling for ... See More poor Sabriel in this section because she's hardly getting space to breathe between crises. At least she gets a hot bath (kind of) and a soft bed for one night, but homegirl could probably have done with a week of rest after what she's gone through.